When we launched the Founded in Holland initiative in September 2014 we expected it to be a soft launch, which would have give us the opportunity to gradually improve on the page. That’s not what happend though. Once the site went live, the traffic peaked within a few hours and so did the applications from startups to be featured on Founded in Holland. 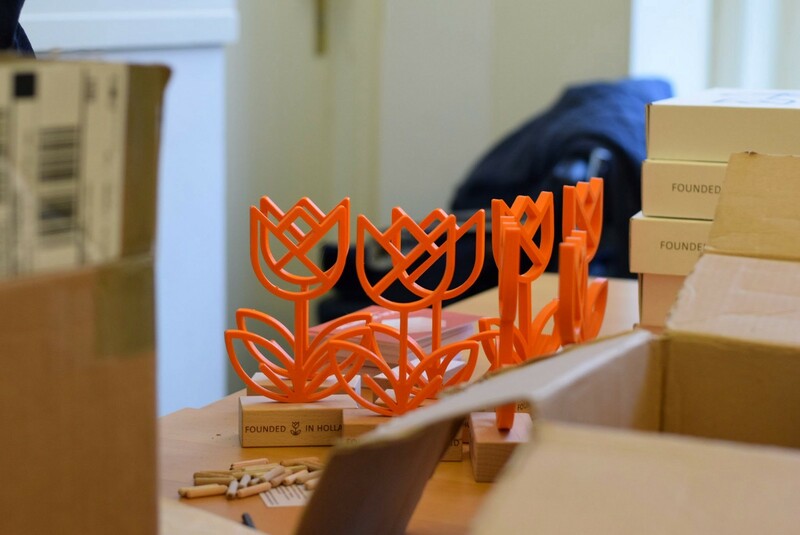 At the end of the day 3D Hubs send out this tweet where they had printed the tulip icon as a sign of gratitude. Awesome! This gave us the idea to surprise the listed startups with a 3D printed trophy. The guys from 3D Hubs were enthusiastic about the plan right from the beginning and immediately fired up their printers. Then some questions arose; how are we going to ship these prefect orange beauties and what about packaging? Wouldn’t it be great to have this all done by startups, working together with young businesses? A gift that is completely fabricated by new style companies who are eager to transform the industries they’re entering. No sooner said than done we searched for an innovator in both packaging and logistics. 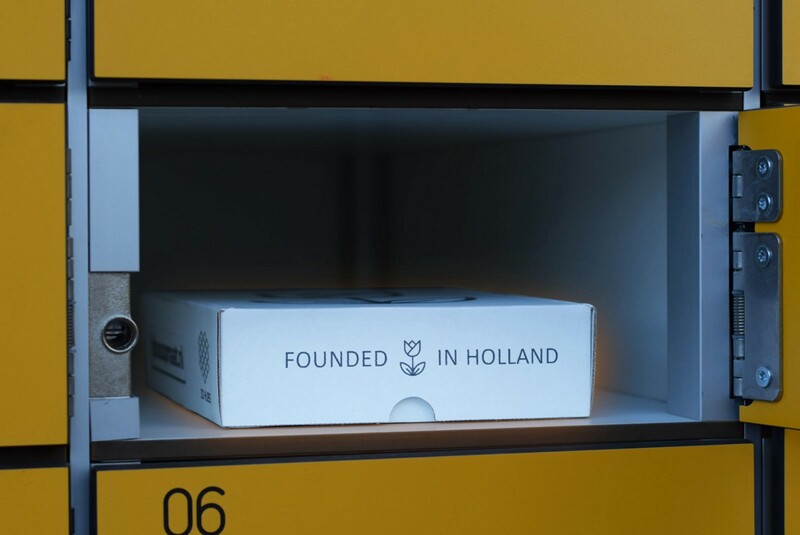 We thought of De Buren (The Neighbours) right away, which is a rapidly expanding startup in the Netherlands with their convenient 24/7 pick-up lockers for your deliveries. Game changer Doosopmaat.nl (Customboxes.nl, roughly translated) was willing to jump in to provide tailor-made boxes that fitted perfectly around the tulips. Everything was in place to reward our Dutch startup friends. The exposure of our gift was huge. We got many heartwarming reactions, here are just a few of them. 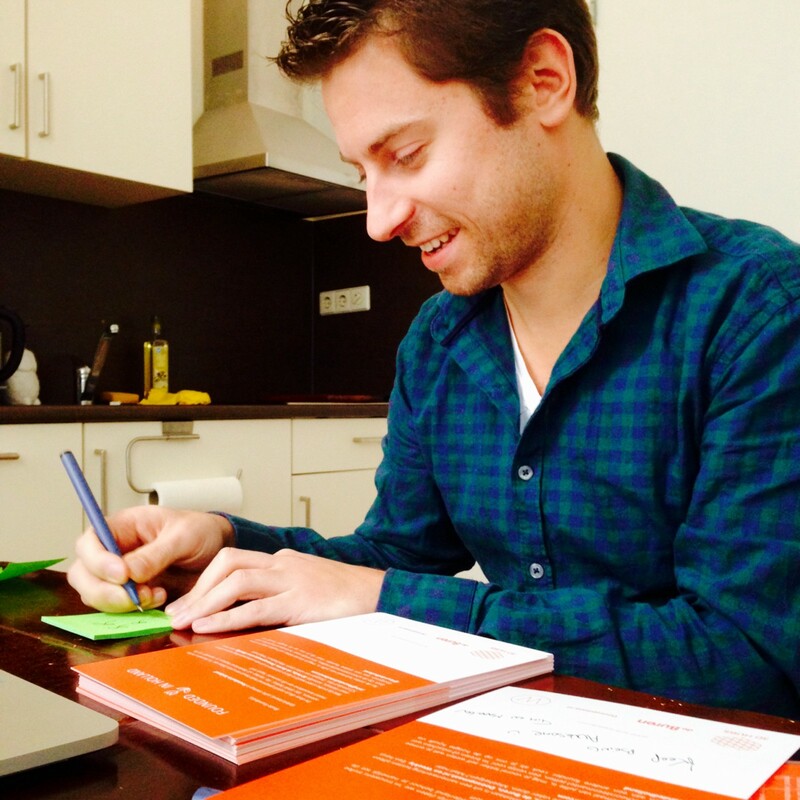 Working with startups-only on a project is something we hadn’t done before. When you’re building something you’re depended on services from more establish compagnies most of the time. Especially in saturated markets like mailing and logistics. However, the personal involvement of startup founders, their flexibility and spirit to make things happen are huge advantages compared to the usually cumbersome corporates. We would like to share some insights we got form our collaboration and what we learned from creating our first product S2S style. 3D printing is fabulous! The fact that you can print almost any shape right from your screen is amazing. But still don’t expect mass production quantities. The tulips took 2 hours to print, each. They had to be printed completely solid otherwise the material wouldn’t have been strong enough to let the peduncle stand straight. Click here for some pictures of the production proces. I you’re not expecting a delivery, you probably won’t pick it up. Makes sense right? Well, that’s exactly what we experienced. Although all startups received an email with the pickup details for their present, not everyone decided to actually empty their locker. Therefore we directly send tweets as a reminder, which was more successful and immediately boosted the amount of tulips delivered to startup offices. As the guys from Product Hunt already found out, sometimes things go better with a small personal touch. We hand signed all flyers by ourselves until our pens were empty. If you’re reading this and want to work on future S2S products (as a startup or otherwise) please reach out to us. We’re going to do more cool stuff soon. Our latest Founded in Holland project just launched: a teaser for the video saga depicting the New Icons of Holland. It can be watched here.